I’ve been noticing a weird trend. 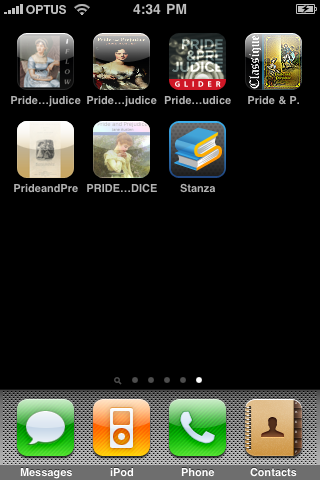 eBooks in stores and advertisements are using Pride and Prejudice as their demo book. But why? Perhaps it’s because the text is in the public domain, and so it isn’t another cost for them. But there are a tonne of books freely available in the same way, so I think there must be another additional reason. Personally, I froth at the mouth whenever I even think about an eBook reader, so seeing Pride and Prejudice advertised with these darlings is an extra little kick of happiness. That lovely piece of equipment is called a Kindle. 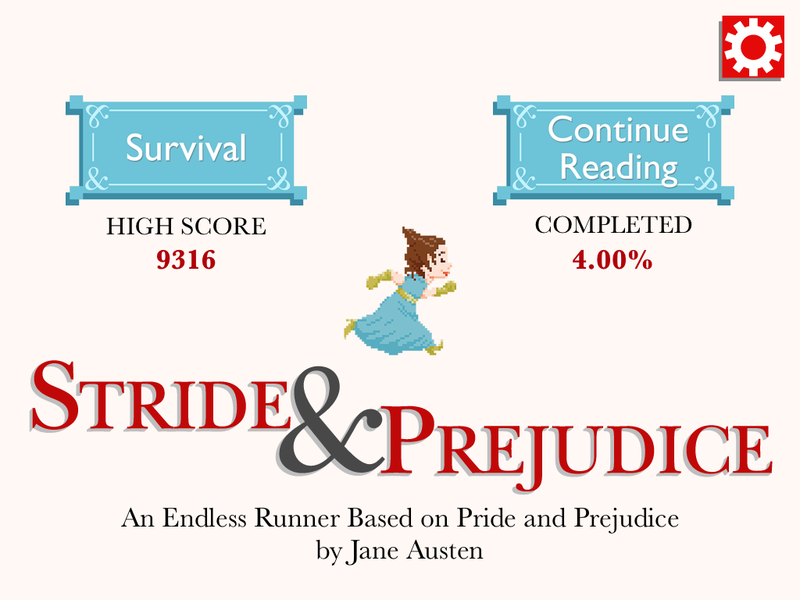 See how becoming Pride and Prejudice is on an eReader?! 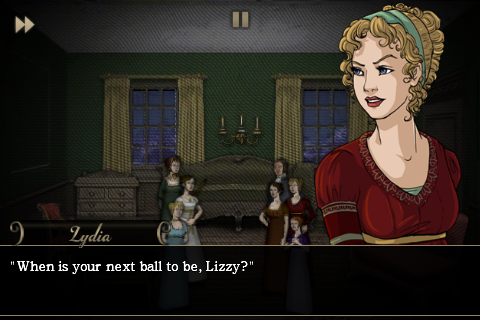 A lot of commenting has been going on about the latest zombie/Pride and Prejudice application from Freeverse. I posted in my last discussion about the new app that it kept stuffing up around Chapter ten (and that it had happened to other people as well). 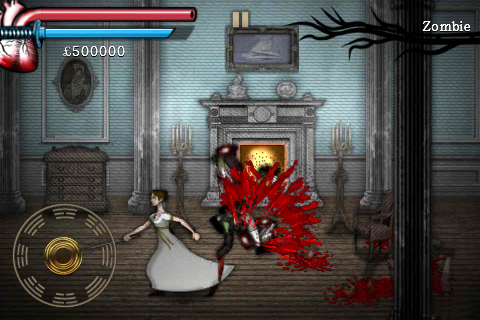 I’ve just completed the iPhone game Pride and Prejudice and Zombies, the game version of the Quirkbooks book, made by Freeverse. It’s a mere AU$3.99 for a pretty cool 2D game, and kept me playing (with my brother!) for the last two hours until we managed to complete it, unlock everything and have a brief chat about what was good/bad et cetera. He is a big gamer, and I am a big Regency fan. I found that this combined both worlds really nicely in a “sidescrolling action beat ’em up” (App Store description). On getting my iPhone one of the first things I did was to check out the App Store. After downloading over twenty different apps I then started searching words of things I was interested in. “Journalism”, “WordPress”, “Social Networking” and then “Pride and Prejudice”. What excited me was that I could now take my favourite Austen novel everywhere with me without having to lug around a whole book and without any cost to myself. There are a few free versions, although there are also plenty of ones you can pay for, and each boasts different features, layouts and themes. In total at the moment there are six free downloads of the novel (not including library apps that allow you to download within the application) and they are very different from each other.